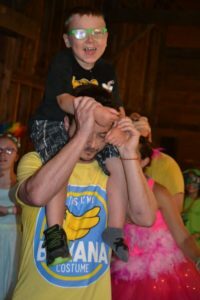 Camp Ta-Kum-Ta provides challenging, extraordinary experiences in a safe and loving environment for children who have or have had cancer and their families. Camp exists for Vermont and Northern New York children (including other out-of-state children who are treated in Vermont), at no cost to their families. Camp Ta-Kum-Ta was founded in 1984 through the efforts of Ted and Debby Kessler and Sheara Billado. They wished to recreate the mind and body healing experiences that Ted and Debby’s son, Todd, had received at a cancer camp in New York State. How did Camp get its name? While in the Pediatric Oncology Unit at the hospital discussing the possibility of a camp where “kids with cancer” can just be “kids”, one of the children still too young to attend exclaimed in frustration “but I want a camp to come ta!”. The name was perfect! Eventually she did get her “Camp Ta-Kum-Ta”. Today, she is one of the many survivors volunteering on staff! Each year Camp Ta-Kum-Ta tries to squeeze in as many life experiences and memories as possible into one magical week. Along with traditional camp activities such as swimming, athletics, ropes course, and arts & crafts, Camp Ta-Kum-Ta offers once-in-a-lifetime opportunities such as rock climbing expeditions, hot-air balloon rides, formal dances, and lake cruises. Why did Camp TKT move from Colchester VT to South Hero VT? For 24 years Camp Ta-Kum-Ta took place in August at Camp Holy Cross on the shores of Malletts Bay, Lake Champlain in Colchester, Vermont. In early 2008 the Camp TKT Board of Directors learned that the facility would no longer be made available as a campsite. A search began for a new, permanent home. In August of 2008, it was announced that Camp Ta-Kum-Ta would move to the former Willey Farm in the Town of South Hero, Vermont in the Lake Champlain Islands. There, a new camp was created. Camp Ta-Kum-Ta now has programs year-round. Although told by many that Vermont just wasn’t big enough to sustain such a camp, Ted and Debby went ahead with it anyway. Thanks to the support of the community, some 120 staff volunteers, and leadership from a seven member Board of Directors, Camp Ta-Kum-Ta has expanded from its one week summer camp to offering programs year round. Our programs consist of Winter Weekends (oldest, middle, and youngest), Playgroups, a Moms’ Retreat, our traditional Summer Program, Siblings’ Weekend, a Halloween Party, and a Holiday Party. There is no cost to the children and their families to attend. Camp Ta-Kum-Ta is an independent 501(c)(3) tax-exempt organization. Our programs and services are financed completely through private donations and fund raising. Because of your support and a terrific volunteer staff, Camp Ta-Kum-Ta accepts all of its children tuition-free. 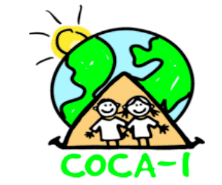 Camp Ta-Kum-Ta is a proud member of COCA-I (Children’s Oncology Camping Association, International). Camp Ta-Kum-Ta is a Gold Ribbon Award Member of COCA-I, an organization whose mission is to strengthen the international community of camps for children with cancer and their families through networking, advocacy, and education. What does a Gold Ribbon Award mean? COCA-I examines Camp Ta-Kum-Ta’s rules, regulations, requirements, guidelines and common practices. The “Suggested COCA-I Guidelines” is an important resource to COCA-I members and following these guidelines are rewarded with a Gold Ribbon. These “Suggested COCA-I Guidelines” are being presented as a completely voluntary set of recommended oncology camp standards. COCA-I meets annually at a conference hosted by a member camp.